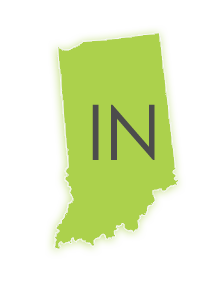 Don’t waste time in search of of certified Indiana court reporters. Avoid the hiring process altogether and instead get more time to devote to your case. If your research has landed you here, then probably know the importance of finding the right court reporters for your deposition. You understand the importance of matching qualified people to the right job, but see how that can often take the backseat to seemingly more important issues. If you are operating in an environment where you are constantly pressed for time and the vetting process is consuming too much of your bandwidth, then book your deposition today with our easy to use online scheduling and we will handle the rest. Our technology makes it easy for you to hire qualified Indiana court reporters and choose from a host of litigation services that are right for you while putting the power to run the show at your fingertips. The Discovery Litigations Services platform enables you to conduct depositions utilizing electronic exhibits. Parties present at a deposition have the ability to receive exhibits when introduced to the deponent, to leave a deposition suite with their own electronic set of all introduced exhibits which can all be imported directly from your own database. Discovery’s aim is to make the process fluid and easy for you. Along with our host of technological solutions, you get the power of the team behind the name. Our seasoned expertise in this industry is honed and polished, ready to bolster your case as a member of your team. Our exclusive experience working as a litigation services provider is leveraged to know exactly what you need and guarantee you will not be paying for superfluous features or processes not essential to your deposition. We take a hands-on approach to catering to our clients and are available to you anytime you need. We believe in coupling powerful tools with the right people to implement them and will remain as involved with you as you need to meet your goals. Our services go beyond the digital realm. We offer Trial Presentation Services that will be your ace in the hole. With Discovery Litigation Services, your pre-trial team gains decades of experience overnight. Our Trial Consultants will provide you with a pre-trial strategy ready to go into the courtroom. We will handle the exhibit database creation, and creation of video-clips packaged in a trial-ready solution. We will assist in the courtroom, in mediation, or in arbitration as an actively involved member of your team. Our trial consultants are accessible and available whenever and wherever required. When you schedule your deposition, you are getting more than a quick solution. You are acquiring an arsenal of tools, an army of highly qualified professionals, and decades of experience. With Discovery Litigation Services you are getting more. We pride ourselves on cultivating partnerships and elevating them by supplying the right tools and guidance to be successful. Our success is dependent on your success. Our unique position within the industry has afforded us a front row seat to view what works and what doesn’t and how to apply this knowledge to best perform for you. With Discovery Litigation Services you get quality. Our certified Indiana court reporters are ready and available anywhere you require. With our court reporters, you can be sure that every aspect is covered from expedited transcripts to text-to-video synchronization. We have you covered. Just click schedule a deposition and see just how fast we can supply you with a highly qualified Indiana court reporter. Our exemplary reputation serves as added assurance that you will receive the quality and care you require. The 20+ Years of experience we bring to the table gives you the foundation for a secure and efficient proceeding. No More Headaches. No Stress. We go beyond court reporting. Browse our stable of litigation solutions to see how you can 10x your free time and get the quality results you need. We are a company staffed full of experts with experience in various cases and skills ready to provide you with the necessary support for your litigation’s requirements. If you are unsure of the services you need, call us and we will happily work with you to tailor fit the right solutions to your specific case. Let us know what you need and we will create a plan that uniquely satisfies all of your concerns to the highest level available while saving you money, time, and giving you peace of mind.